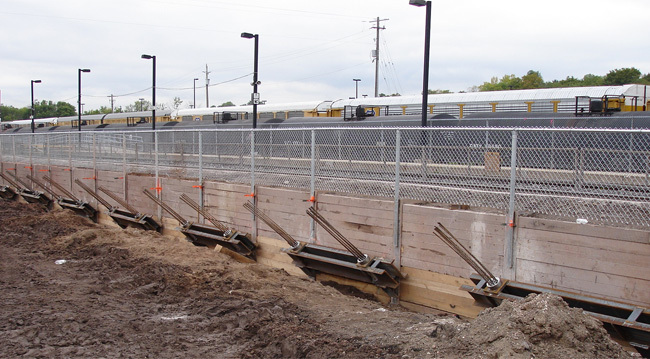 Work at the Aldershot Go Station in Burlington, Ontario comprised of the construction of two new pedestrian tunnels to access the existing passenger platforms. 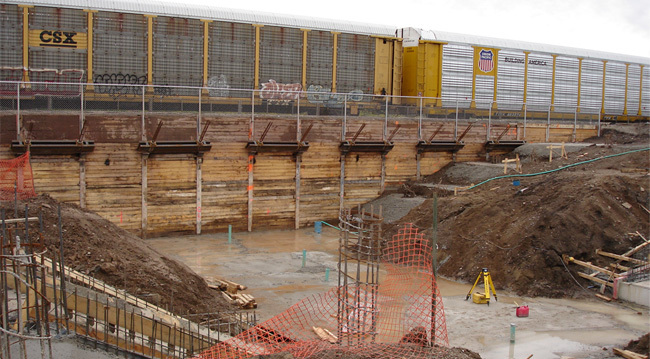 The project was further complicated by the proximity of high speed passenger train rails and the need to maintain and operate the facility while the work was in progress. 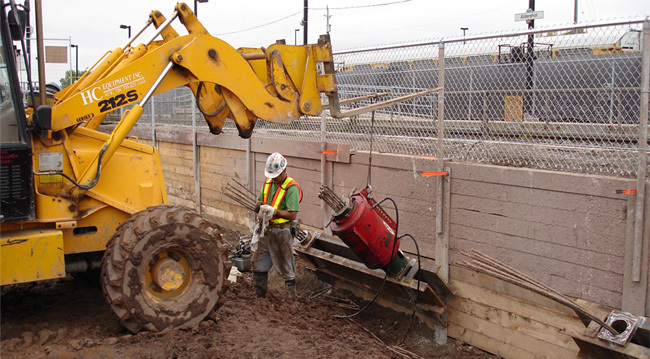 In order to minimize the impact of the installation of the shoring, HC Matcon Inc. opted to install a single row of multi-strand high capacity tie backs; in excess of 900 KN capacities. 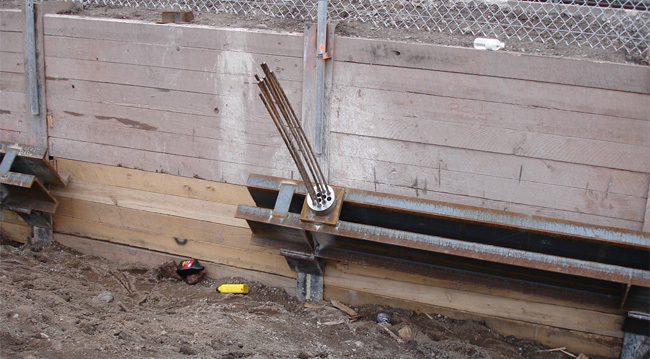 The high design loads required these anchors installed under strict on site quality control of strand and grouting procedures. The innovative approach taken by HC Matcon Inc’s design team provided the optimum solution to the strict requirements of the project while, significantly reducing the duration and subsequent impact to the overall project completion schedule.